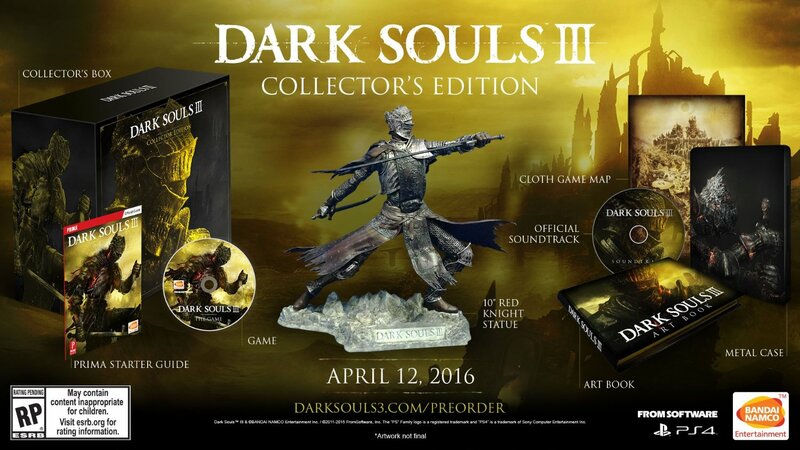 Though there were some teases shown for the UAE and other territories, the Collector's Edition of Dark Souls 3 for the U.S. has been revealed. 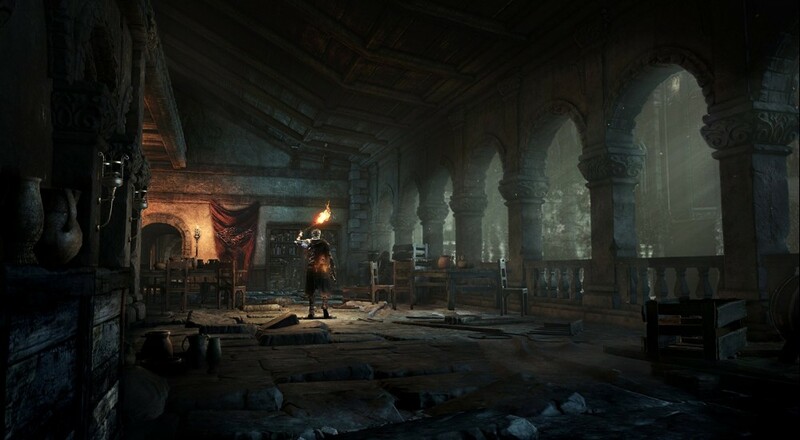 Additionally, the release date for the game has been firmed up to April 12 from the previous tentative date of April 24. So what goodies lie in store for you if you pony up the $129.99 for this edition? Well, you'll get the obligatory 10" character statue, along with a CD of the game's soundtrack and art book. You'll also snag a cloth map of the game's world and a Prima Starter Guide, which I imagine begins with "ok, so you're going to die... a lot." The collector's edition of the game is available for pre-order via Amazon, GameStop, and other retailers.